Let’s take a blast to the past for once. 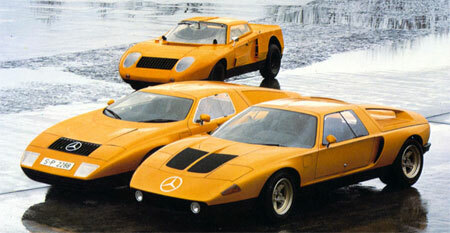 The wedge-like car above with an orange colour scheme is the Mercedes Benz C111 Concept car, shown to the public ages ago at the 1969 Frankfurt International Motor Show. 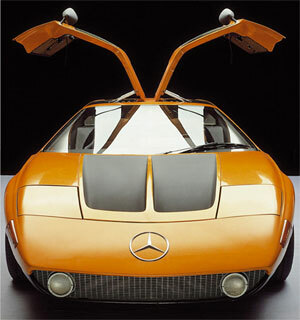 Having a futuristic shape at that time was one thing, but what’s unique about this concept car is what has hidden under it’s hood – a result of Mercedes Benz’s experimentation with the Wankel rotary engine design. 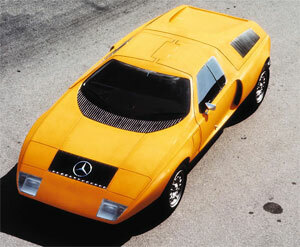 The fiberglass body Mercedes Benz C111 Concept was powered by a fuel injected normally aspirated 3-rotor Wankel engine. With 600cc per rotor, the engine made 280hp at 7,000rpm, giving the car a 0-100km/h time of 5 seconds and a top speed of 260km/h. 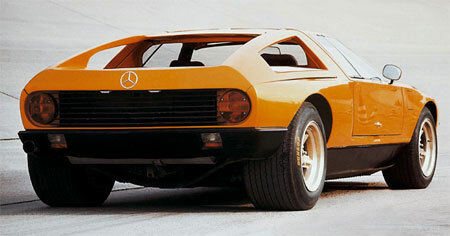 A later version featured a 4-rotor rotary engine with 350hp at 7,000rpm and a top speed of 290km/h. Only 12 units of the engine, codenamed M950F, were ever built.